ZIMBABWE has licensed two diamond companies from China and Russia as the only foreign firms allowed to explore and mine for diamonds in the country after approving its Zimbabwe Diamond Industry Policy late last year. President Emerson Mnangagwa has increasingly favoured Russia and China in his investment dealings as other international investors raise concerns over the slow pace of reforms, and the country’s worsening currency problems. Zimbabwe is readying the re-introduction of the Zimbabwe dollar in the next 12 months. Mines Minister, Winston Chitando, said in an interview that De Beers and Vast Resources have not been given the green light for diamond exploration and mining. “It is not true that those two (that De Beers and Vast) have been licensed. I don’t know where people get that. In fact, none of those two are among those licensed,” Chitando said by phone in a recent interview. 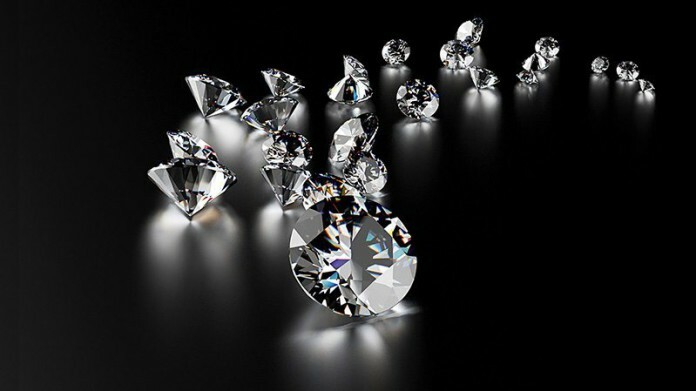 Alrosa, a state-owned Russian company, and the China’s Anjin now take their place beside RioZim and the Zimbabwe Consolidated Diamond Company – the latter mandated to own half of the shares in all new diamond mining ventures in the country – as the only miners of gems in the country. “The President has put the Zimbabwean interest at the heart of exploitation of those diamonds only accepting foreign participation by way of selecting companies from Russia (Alrosa) and China (Anjin),” George Charamba, Mnangagwa’s spokesperson was quoted saying by state media. Anjin is not new to the Zimbabwean diamond mining industry as it previously mined the Marange diamond fields until 2015 before Zimbabwe’s government decided against renewing mining licences for gem miners in the area. Zimbabwe, faced with an economy struggling for stability, is hoping diamond mining will help shore up its crippled foreign currency. Minerals are a major foreign exchange earner for Zimbabwe, with the Zimbabwe Revenue Authority (Zimra) saying on Thursday Zimbabwe received $90m from royalty collections in 2018, boosted by platinum, diamond and gold earnings. “The revenue head contributed $95.67m against a target of $90m, translating to a positive variance of 6.30%. Revenue collections grew by 30.86% from the $73.11m collected in 2017,” said Zimra in a statement. The stronger performance of the royalty revenue has been attributed to the “… movement of international commodity prices…” after “… mineral prices surged during the first and fourth quarter of 2018. Major minerals like gold, platinum and diamonds production levels improved significantly owing to the formalisation of small-scale miners”.